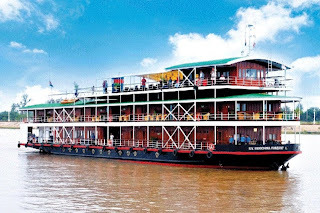 CRUISECO has a series of exclusive charters of the replica colonial riverboat Indochina Pandaw on the Mekong River between Saigon and Angkor at substantially-reduced prices. These cruises on select dates between October this year and September 2012 will take guests from the bustle and vibrancy of Vietnam into the jungled serenity of ancient Cambodia, with highlights along the way including towns abounding with French Colonial architecture, an eco-village, floating markets, rice fields, a silk-weaving village, visits to a rural school and orphanage, the fabled temples of Angkor Wat, and the solemnity of the Killing Fields of Phnom Penh. Cruiseco has packaged these 7-night cruises with return airfares and taxes from mainland capitals, two nights at the Deluxe Caravelle Hotel in Saigon and two in the deluxe Raffles Hotel D'Angkor in Siem Reap, all transfers, and extensive daily sightseeing with local guides including aboard local ferries, river motor-boats and even a trishaw; the 60-passenger Indochina Pandaw includes most meals, soft drinks and local beer and spirits, onboard gratuities and government taxes. 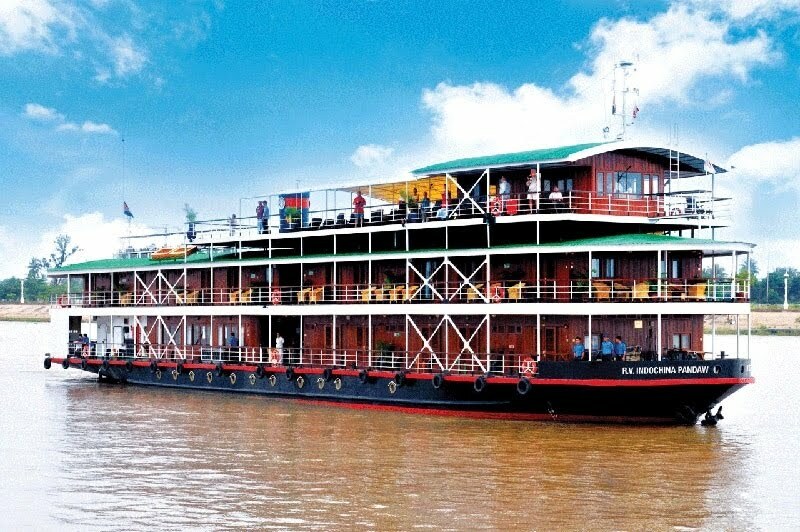 ADDITIONAL CRUISE INFORMATION: The near-new Indochina Pandaw is a faithful reproduction of the riverboats of the one-time Irrawaddy Flotilla Company that carried passengers and freight into areas of Asia early in the last century, and which even today are still inaccessible by any means other than riverboats. The ship features teak and brass, broad promenade decks, an observation deck, a restaurant whose sides open-up to take in the expansive views, and roomy cabins with luxury ensuites.